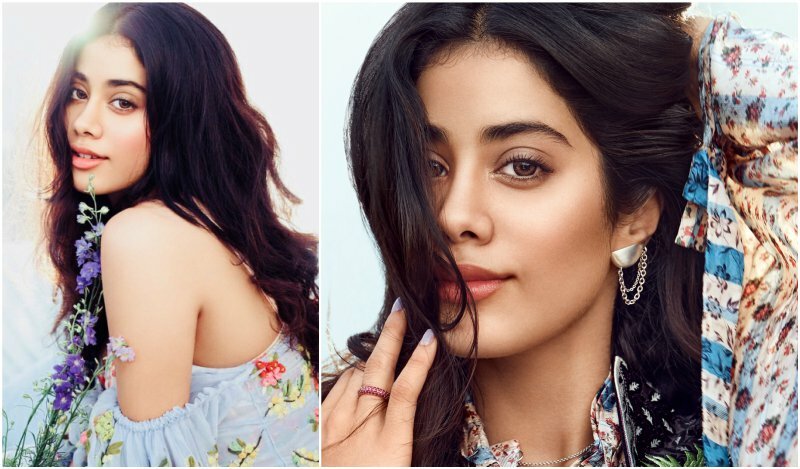 5 Times Janhvi Kapoor Surprised Us With Her Quirky Outfits - Wedding Affair var admin_url = "https://weddingaffair.co.in/wp-admin/"
Janhvi Kapoor who is enlisted as a Dharma kid and has received praises with regards to her performance in Dhadak is no less a diva when it comes to styling and fashion. She always gives the viewers and the media persons an outfit to drool over. Her wardrobe speaks of elegance in an eccentric manner. She is fearless and experimental when it comes to clothing. These are the five quirky outfits Janhvi pulled over with utter grace. 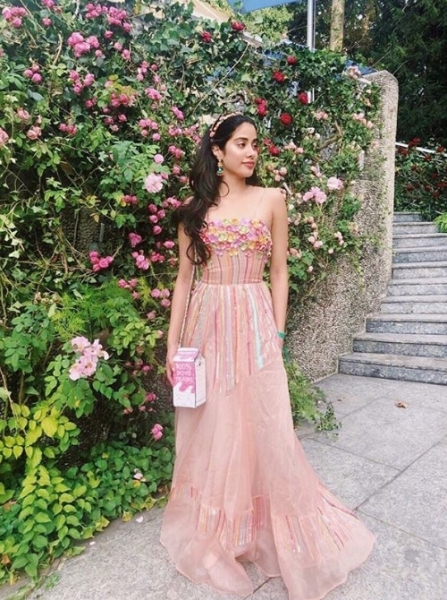 Janhvi Kapoor seems to be a fan of Anamika Khanna’s creation. 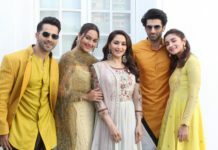 The first three outfits are designed by Anamika Khanna. Janhvi Kapoor looks ethereal in this tribal inspired outfit by Anamika Khanna. We love the bright neon in combination with green and grey. The taped hair look and divided skirt on pant look is not an easy statement to make. The choker adds an element to the attire. 2. The Classic Printed Look! While most people would love to pair a printed bottom with a subtle plain top and vice versa, Janhvi here stunned all of us by pairing the print with print. Unlike a usual co-ord with the same print on the entire outfit..her’s had separate prints and she managed to pull it off with confidence. This was another Anamika Khanna outfit, we’re guessing she’s a fan! This is the perfect outfit for a day festivity, like mehendi and sangeet! The pastel mauve is just beautiful. The outfit is not a mainstream dhoti outfit as you can see the bottom isn’t exactly like a dhoti. Her hairdo is what stands out. No one has ever paired these braids with an indian attire and therefore, Janhvi stole the show! While we have seen many celebrities support blingy outfits..this outfit by Manish Malhotra worn by Janhvi Kapoor undermines all. As we mentioned earlier that Janhvi is fearless when it comes to fashion and here she proved it. Her outfit is as shimmery as anything could get and she is loving it. We’re sure she felt no less than a princess in this attire. 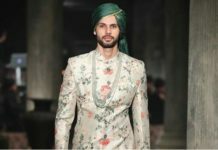 While the outfit is surreal, with a floral headband. What’s quirky is the milk carton handbag that has not been sported by any celebrity as of now and might not ever be! It’s an unusual and amusing accessory we’re loving! Janhvi has already made her mark in the industry and we’re pretty sure she will work her to the top. She is the perfect blend of beauty and talent! 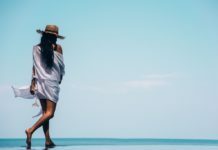 Previous articleBrides, 5 Hair Mask Recipes To Your Rescue!